At 1,400 metres (4,600 ft), Serre-Chevalier is home to a Club Med Resort that resembles a little hamlet of some fifteen chalets. With their charming wooden and stone architecture, these beautiful buildings blend in perfectly with their surroundings. Inside, the spacious, warmly decorated lounges and family rooms are the ideal setting for parents and children to share special moments together. A wide range of activities, from skiing on the slopes of the Grand Serre-Chevalier ski domain, to rest and relaxation in the indoor swimming pool and the Club Med Spa* by Payot. Childcare and children's club facilities	Our Resort welcomes children of all ages with children's club activities according to age, run by professionals. ● Privileged areas, specially designed for their needs. For the comfort and safety of all the children, and in accordance with French law, children under 6 must have a medical certificate stating that there are no contraindications to their presence, issued just before their arrival at the Resort. If you have chosen a transport package for Serre-Chevalier, it includes the return train journey and transfers to and from the Resort. The Club Med Resort of Serre-Chevalier has 350 rooms all located in a single hotel, consisting of two 5-floor Savoy-style chalets, with a lift, displaying a harmonious blend of wood and stone. The secondary chalet adjoins the main chalet and is connected to it by a covered walkway. A neatly-designed and pleasant attic Club Room, ideal for couples. The Family Room has 2 rooms separated by a door, with Savoyard furniture and warm decor. Additional options include a room with Valley View, in the main chalet. This is the most beautiful accommodation in the Resort, a beautifully spacious room with a balcony from which to admire the magnificent view over the valley. 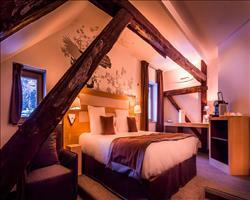 In both chalets, spacious Deluxe Room offering generous comfort in a Savoyard atmosphere with warm decor. We update Club Med Serre Chevalier's details often, but facilities do change. e.g. some extras listed by the supplier as "free" or included might only be for the first time you use them, or for one time per party, then charged for further use. If any specific feature is essential to your holiday, make sure you ask us to confirm the details of it before you book your holiday. This all inclusive holiday to Club Med Serre Chevalier in Serre Chevalier, France departs Sunday 22nd December 2019, for a 7 night stay on a "all inclusive" board basis. A local tourist tax (Taxe de Sejour or Kurtaxe) is levied by many councils in European ski resorts. It varies by standard and type of accommodation and is age dependent, so not everyone is charged. It's not included in the basic price of your holiday and is usually paid locally. For reference, the average charged in winter 15/16 was between 50p and £2 per person, per night. You get those hulking ski resort titans, and then there’s Serre Chevalier: a group of smaller villages that just happen to share one stonkingly big, seriously scenic ski area. Whether you’re based in family-oriented Chantemerle, lively Villeneuve, romantic spa town Monêtier or historic Briancon, 250km of wonderful terrain awaits. Serre Chevalier lift pass price last reported as 214€ (adult 6 day). Ask for a quote when booking Club Med Serre Chevalier. Serre Chevalier has N facing slopes. 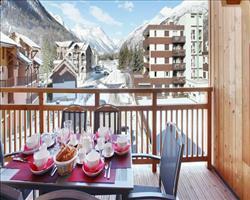 Residence Aquisan... Serre Chevalier France, Gatwick to Turin 21st December. 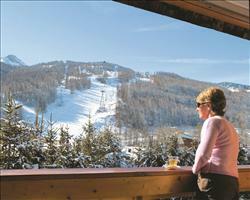 Hotel Plein Sud Serre Chevalier France, Gatwick to Turin 21st December. Grand Aigle Hotel... Serre Chevalier France, Dover Ferry 21st December.